You are in for a culinary treat today. 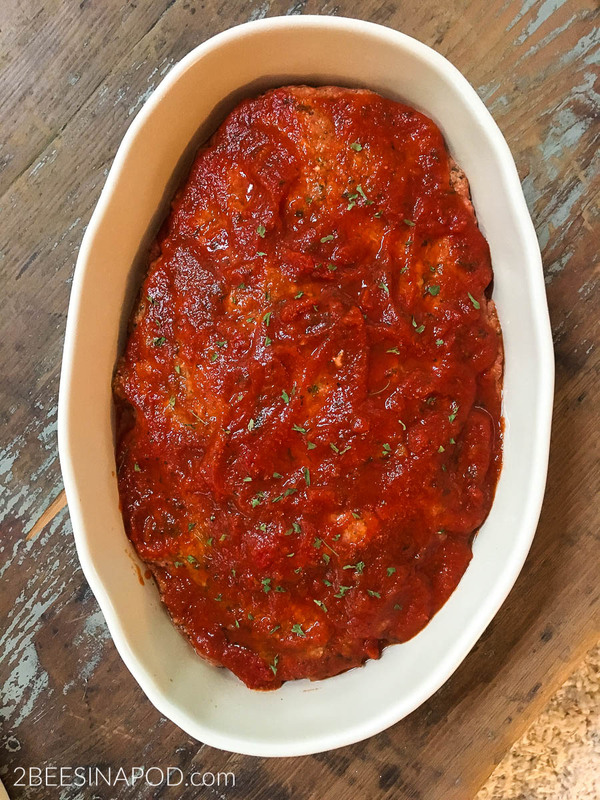 We are sharing our delicious Italian meatloaf recipe as well as 12 other Italian style delights! Quite possibly, Italian food is the most favorite in our house. Honey Bee’s maternal grandfather sailed to America from Bari, Italy in 1900 when he was just 16-years-old. Dominic didn’t have many possessions with him, but he was sure to bring his mother’s recipe for tomato sauce and meatballs. This recipe has been passed down for generations within the family and shared around many Sunday supper tables. Using some of these same ingredients, I created a delicious Italian meatloaf. Let’s head to the kitchen, shall we? 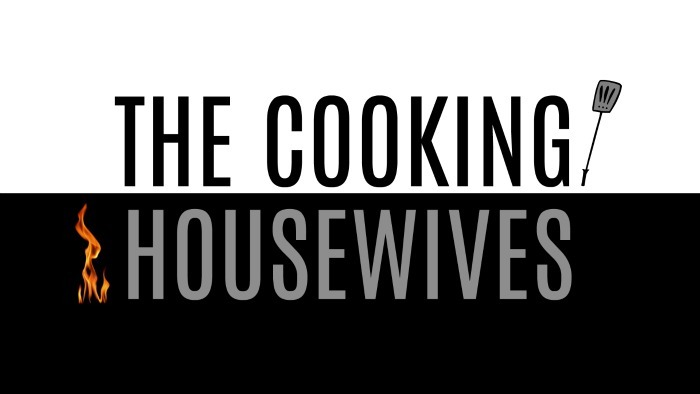 I love to cook and I try to use the best ingredients that are available to me. This doesn’t mean that the ingredients are expensive. 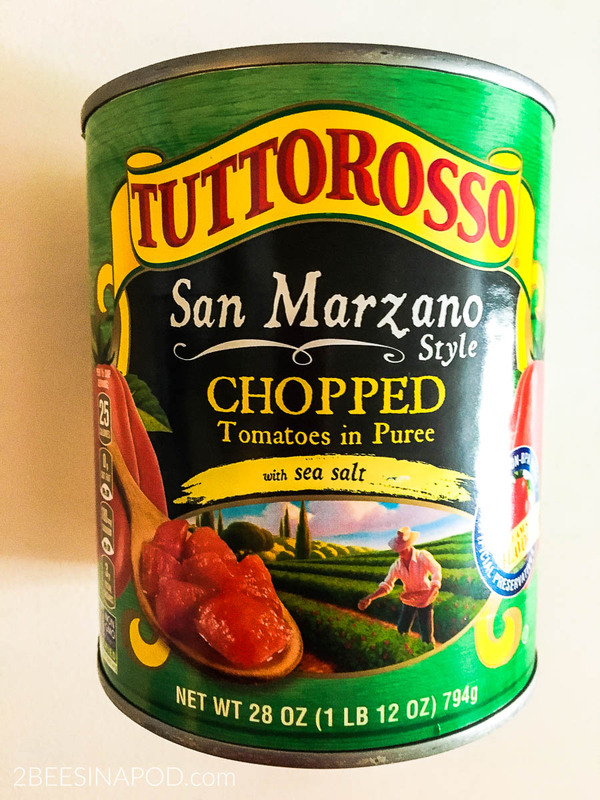 It just means that I use fresh produce and items like these San Marzano tomatoes. They have been rated some of the best by chefs because of how they are grown and taste. These plum tomatoes have less seeds and are less acidic. Frequently my grocery store has them on BOGO – buy-one-get-one free, so I stock up! 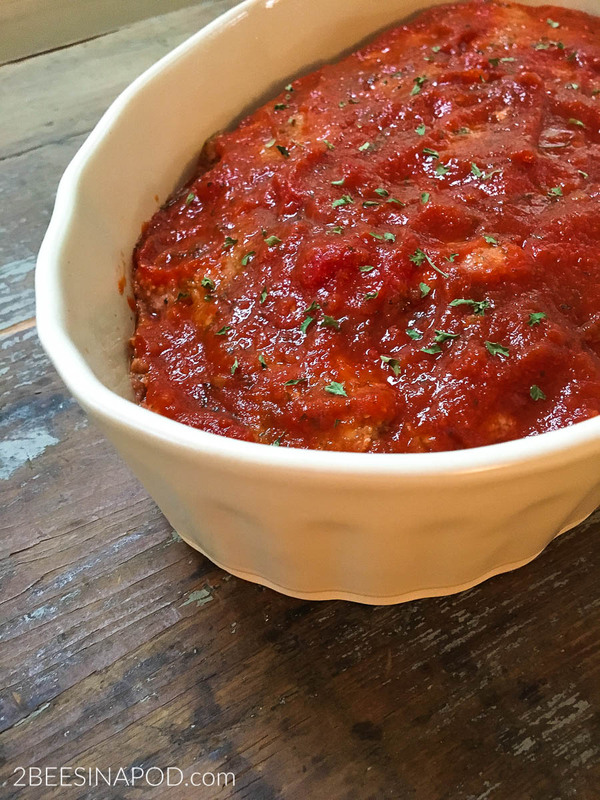 Initially, when I created this recipe it was as a way to use leftover tomato sauce from spaghetti and meatballs. If you ever have leftover sauce, this is a great way to use it for another meal. 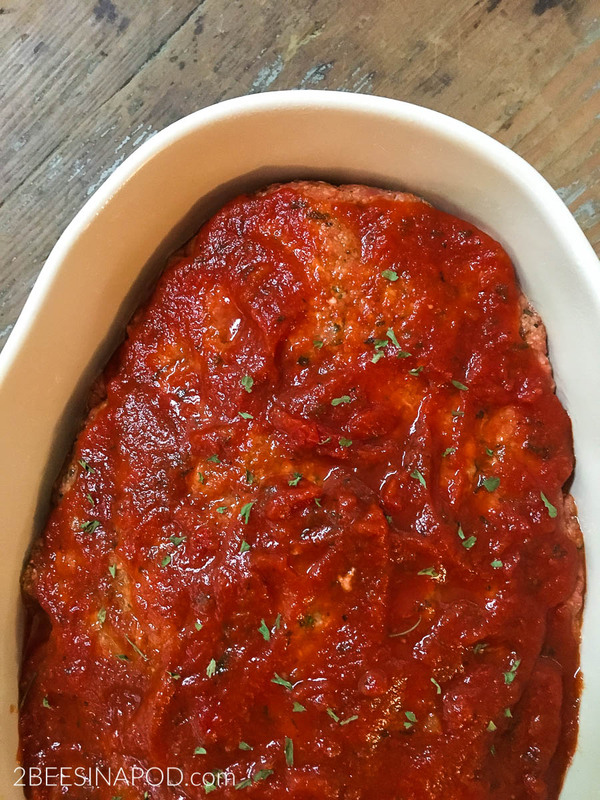 Savory and delicious meatloaf has the flavor of our favorite Italian meatball. Combine beef, 1 cup pasta sauce, and remaining ingredients in a large bowl. Shape beef mixture into an 8 x 4-inch non-stick loaf pan. Brush remaining 1 cup pasta sauce over top of meat loaf. Bake at 350° for 1 hour and 10 minutes or until a thermometer registers 160°. Let stand 10 minutes. Cut meatloaf into 12 slices. As you can see, I am all about the tomato sauce. 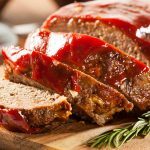 It is flavorful, delicious and keeps the meatloaf super moist as it cooks down into the meatloaf. Feel free to cut back on the sauce if you do not want to use all of the 2 cups. You can use the reserved sauce to serve on top of the meatloaf after it is cooked. This recipe is a definite winner in our house. Serve with salad, mashed potatoes and you have a perfect dinner for any night of the week! Don’t forget to Pin these to your favorite Pinterest boards! And look at all of this deliciousness!!! YUM! What time’s dinner? 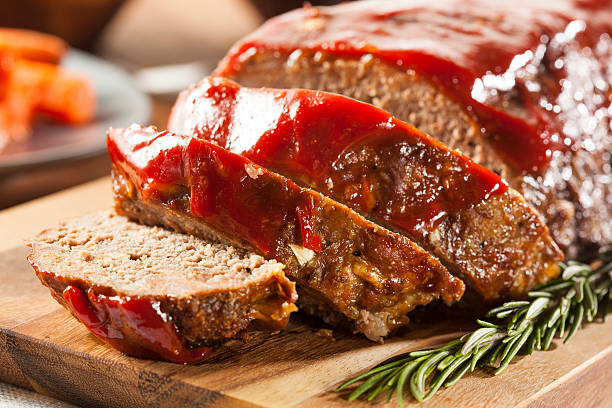 We love good old fashioned meatloaf and will definitely be trying this recipe. Meatloaf is my son’s favorite! I know this will please him the next time he is home from college! My husband loves meatloaf and I never think to make it for him. Your recipe sounds delicious and I’m going to make it very soon. This looks absolutely amazing! My family would love this.